Given this equivalence. it is easy to see further relationships between dummy variable regression and one-way ANOVA. Thus. we see that regression in which the single independent variable with c categories has been recoded into c – 1 dummy variables is equivalent to one-way analysis of variance. Using similar correspondences. one can also illustrate how n-way analysis of variance and analysis of covariance can be performed using regression with dummy variables. Regression analysis. in its various forms. is a widely used technique. The next example illustrates an application in the context of international marketing research. and the example after that shows how regression can be used in investigating ethics in marketing research. Airline companies in Asia had been facing uncertainty and tough competition from U.S. carriers for a long time. Asian airlines. hit by high fuel costs. global recession. and preemptive competitive deals. realized they could band together to increase air patronage. Secondary data revealed that among the important factors leading to airline selection by consumers were price. on-time schedules. destinations. deals available. kitchen and food service. on-flight service. and so on. Asian airlines offered these services at par if not better. In fact. research showed that in-flight and kitchen services might have been even better. So why were they feeling the competitive pressure? Qualitative research in the form of focus groups revealed that the flier program was a critical factor for a broad segment in general and the business segment in particular. A survey of international passengers was conducted and a series of multiple regression analyses were used to analyze the data. The likelihood of flying and other choice measures served as the dependent variable and the set of service factors. including the frequent flier program. were the independent variables. The results indicated that frequent flier program indeed had a significant effect on the choice of an airline. Based on these findings, Cathay Pacific, Singapore International Airlines, Thai Airways International, and Malaysian Airlines introduced a cooperative frequent flier program c.alled Asia Plus, available to all travelers. The program was the first time the Asian carriers had offered free travel in return for regular patronage. A multiplication-dollar marketing and advertising campaign was started to promote Asia Plus. Frequent fliers, thus, flew from the clouds to the clear and the Asian airlines experienced increased passenger traffic. Although Asia Plus and other frequent flier programs proved successful for Asian airlines, the uncertain economy of 2009 pushed them into a huge crisis. The Association of Asia Pacific Airlines (AAPA) said at its annual assembly that the current state of the industry was not encouraging. Despite the challenges ahead for Asian airlines in 2010 to 2015, many believe that it will be possible to renew growth and restore profitability in the future. The director of the AAPA, General Richard Stirland, said, “The industry should seize the opportunity, think the unthinkable, and set a new course to establish a less fragmented and healthier industry. As of 2009, the Internet is being used more and more to conduct marketing research studies. Therefore, it is crucial that the research community create an ethical code of standards to follow when researching in an online environment. Many online researchers are distressed at the way other researchers are abusing the Internet as a means of collecting data. Those who conduct online research in an ethical manner feel that an accepted code of ethicsof online research and online marketing behavior must be established. Without such a code, dishonest marketing tactics will prevail and ultimately make online research an impractical means of collecting consumer data. Not only does online marketing research raise ethical problems and concerns, but also traditional marketing research has been targeted as a major source of ethical problems within the discipline of marketing. In particular, marketing research has been charged with engaging in deception Conflict of int,<rest,violation of anonymity, invasion of privacy, data falsifications, dissemination of faulty findings, and the use of research as a guise to sell merchandise. It has been posited that when are searcher chooses to participate in unethical activities, that decision may be influenced by organizational factors. Therefore, a study using multiple regression analysis was designed to examine organizational factors as determinants of the incidence of unethical research practices. 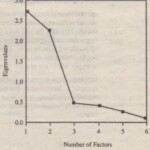 Six organizational variables were used as the independent variables. namely: extent of ethical problems within the organization. top management actions on ethic\- code of ethics, organizational rank, industry category. and organizational role. The respondent’s evaluatioa of the incidence of unethical marketing research practices served as the dependent variable. The major computer packages (SPSS and SAS) have programs for conducting correlation and regression analysis. MINITAB and EXCEL also offer some programs. Exhibit 17.1 contains a description of the relevant programs for MINITAB and EXCEL. Refer to the user manuals for these packages f9l”more information. We discuss the use of SPSS and SAS in detail. The step-by-step instructions for running the various SPSS and SAS Learning Edition programs discussed in this chapter are also illustrated in screen captures with appropriate notes. These . screen captures can be downloaded from the Web site for this book. 1. Select ANALYZE from the SPSS menu bar. 2. Click CORRELATE and then BIVARIATE. 3. Move “Attitude[attitudej” into the VARIABLES box. Then move “Durationjduration]” into the VARIABLES box. 4. Check PEARSON under CORRELATION COEFFICIENTS. 5. Check ONE_TAILED under TEST OF SIGNIFICANCE. 6. Check FLAG SIGNIFICANT CORRELATIONS. 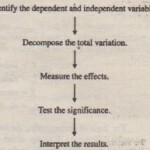 The steps for running multiple regression are similar except for step 4. In step 4, move DuRATION and WEATHER to the explanatory variables task role. In the department store project, multiple regression analysis was used to develop a model that explained store preference in terms of respondents’ evaluations of the store on the eight choice criteria. The dependent variable was preference for each store. The independent variables were the evaluations of each store on quality of merchandise, variety and assortment or merchandise, returns and adjustment policy, service of store personnel, prices, convenience of location,layout of store, and credit and billirig policies. The results indicated that all the factors of the choice criteria, except service of store personnel, were significant in explaining store preference. The coefficients of all the variables were positive, indicating that higher evaluations on each of the significant factors led to higher preference for that store. The model had a good fit and good ability to predict store preference. 1. Run product moment correlations between the evaluation of Sears on the eight factors of the choice criteria and the preference for Sears.